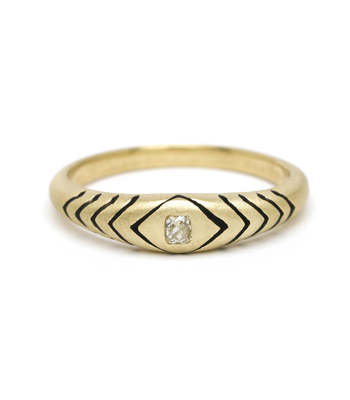 Thoroughly sleek and modern, our rounded gold and enamel stacking ring is an abstract interpretation of a classic Victorian motif: the open-mouthed snake. A repeating pattern of chevrons framing a central old mine cut diamond represents two opposing snakes with a ray of light in between. In Victorian times, the snake was a symbol of everlasting love. 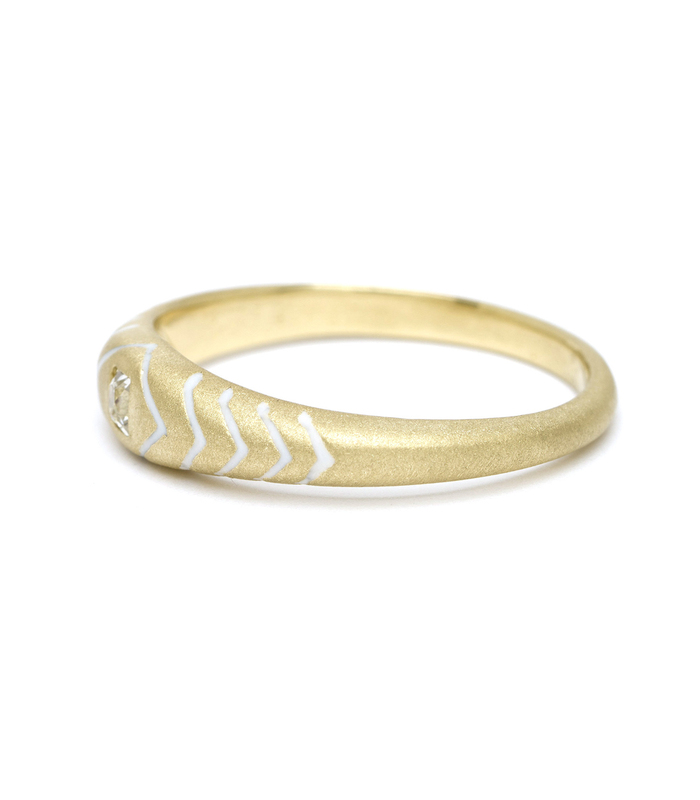 The opposing snakes signify the balance of opposing forces in the universe: dark and light, good and evil, male and female, yin and yang. 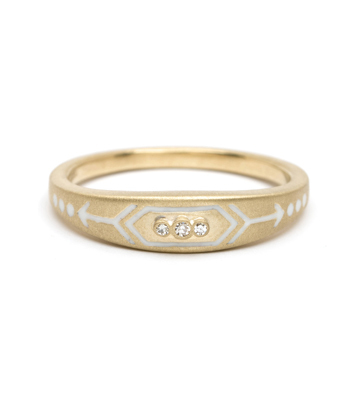 What a perfect reminder to seek the balance in our everyday lives. 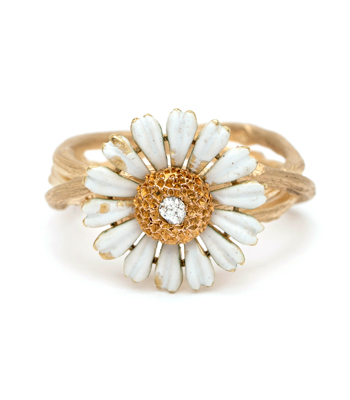 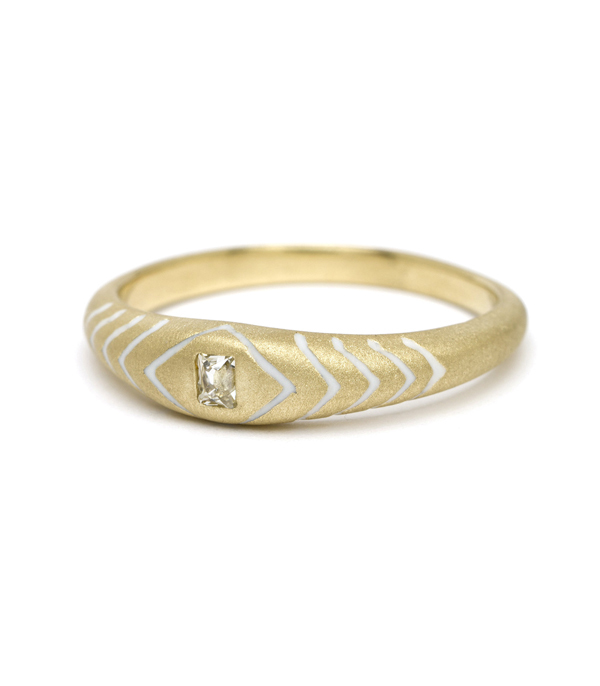 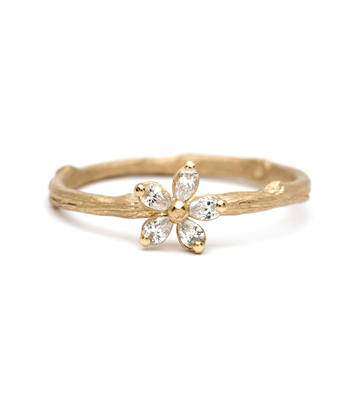 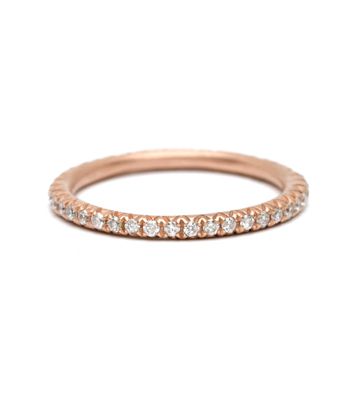 This 18K matte yellow gold band features an antique old mine cut diamond center (approx 0.08ct) and white enamel inlay.